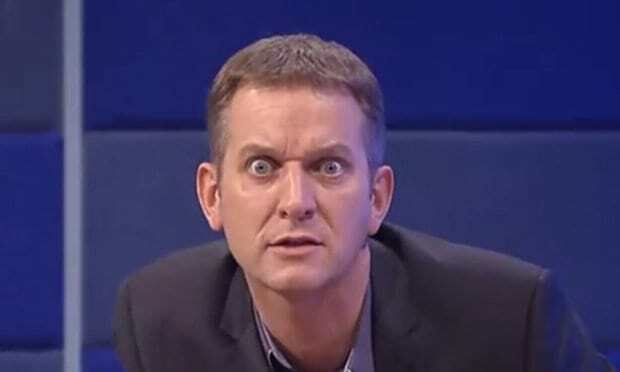 Another day, another incident on The Jeremy Kyle Show. This time, rather refreshingly, it isn’t the guest who feels the sharp end of humiliation. Usually, Jeremy Kyle gets to belittle, talk down to and trivialise the people who get conned into his Victorian ITV freak show but one woman named Amy has changed all that. After disclosing the DNA results to her, boyfriend Andy and ex-best mate Lizzy – who claims Amy stole Elvis-lookalike Andy off her – Amy paced over to Jeremy, grabbed the carded results off him, pushing him as she did. Poor old Jeremy didn’t know what hit him. But Amy wasn’t surrendering, leading Kyle and the crew down a series of corridors. Eventually the whole thing ended in a ‘I tell you what, you get outta here! I’m done’ moment. No one was happy. Nothing was really solved. But people were humiliated on national television so it’s all gravy. 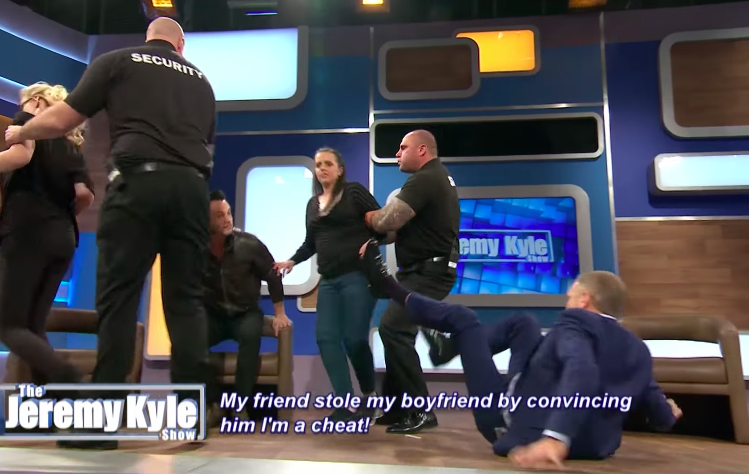 Just last week, Kyle ended up on the floor while running after one of his guests on his eponymous ITV morning show when he crashed to the floor, almost breaking his wrist in the doing. 35-year-old John was on the show with fiancée Kelly, who he accused of cheating and how none of their three kids are his. Kelly then admitted to cheating to John but was confident the children were his own. Of course, a DNA test followed but the revelation was cut short as Kelly NABBED the things and ran off backstage. Attempting to stop the truant guest, Jeremy tried to assail security guard Dan only to slip off and risk breaking his bloody spine. Anyway, Jeremy eventually got around to revealing the results of the DNA test and found out that John is indeed the biological father of all three of Kelly’s children. The couple then shared a smooch, made up and decided to go along with their postponed wedding. A far happier ending than the tale of Amy and Andy. And who says romance is dead?